Sony announced a new type of camera which enables entirely new imaging possibilities, and inspires an unprecedented scope of expression from all who take it in hand. The RX0 (model name: DSC-RX0) marries the hallmark leading image quality of the Sony RX series with advanced photo and video capabilities, all compressed into a robust and ultra-compact body. 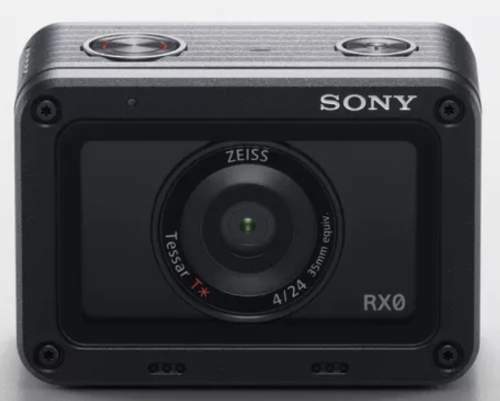 Designed to facilitate creative photographic and videographic expression beyond current limitations, RX0 is equally adept at shooting still images, filming video or can be used as part of a multi-camera set-up to create an inspiring series of images, videos and super slow motion footage from a multitude of different perspectives. Its miniature dimensions and all-around versatility maximise freedom to tackle photographic and videographic challenges in new ways, always with the assurance of high quality results. Weighing just 110g[x] and measuring 59mm x 40.5mm x 29.8mm (WxHxD)[xi], RX0 redefines how small and light a premium compact camera can be. It can be used as a standalone camera for capturing photos or videos in any shooting conditions including the rain, underwater, or in sandy or dusty environments and is equally adept as a part of a multi-camera setup to shoot subjects from a variety of different viewpoints. In addition to conventional bullet-time and time-slice shooting, the RX0 multi-camera shooting solution opens the door to a new world of imaging opportunity and can be organised in a number of different ways. Sony’s wireless radio commander, the FA-WRC1M can be used to trigger up to fifteen[xii] RX0’s. The PlayMemories™ Mobile[xiii] app allows up to five RX0 models to be connected wirelessly and the perfectly balanced form factor means that units can easily be secured in tough shooting positions to capture incredible new perspectives. A wireless multi-camera shooting solution capable of connecting further RX0 units when an access point is used[xiv] is currently being developed and will be released in January 2018 via a firmware update. For users looking for a more reliable wired connection, a camera control box is also being developed and will be released in January 2018. RX0 is packed full of advanced Sony technology and features a 1.0-type stacked 15.3MPvi Exmor RSCMOS image sensor, BIONZ X® processor and a wide-angle ZEISS® Tessar T* 24mm F4 fixed lens to deliver high resolution and less distortion results for both RAW and JPEG stills and across all supported video formats. It has an Anti-Distortion Shutter of up to 1/32000 second and can shoot at up to 16fps, meaning that even fast moving objects are beautifully and accurately rendered. For those looking to capture the decisive moments of daily life, the compact nature of RX0 means that usage is as unobtrusive as possible, thus maximising the possibility for natural, high quality shooting. RX0 is waterproofi,ii at depths of up to 10 metres and when used with the new MPK-HSR1Housing, can be used down to a staggering 100 metres depth. 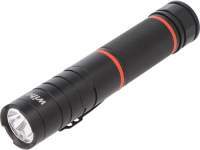 [xv] It is shockproofiii,i when dropped from up to 2 metres and crushproofiv,i to 200kgf / 2000N, making it durable enough to withstand shooting in difficult situations where traditional cameras simply cannot go. Users can now produce content that simply has previously not been possible and the rain, sand and space-limited or dusty environments are no longer a barrier. The RX0 was conceived as a camera that is just as useful to the videographer as the photographer and this spirit manifests itself with a host of creative video features delivering stunning videoresults. For those who want to incorporate super slow motion footage,viii the RX0 offers the opportunity to shoot at up to 1000 frames per second, offering the opportunity to transform even the most mundane moment into something spectacular. For production flexibility, you can use 4K clean HDMI output to record uncompressed video to an external recorder. With both MF Assist and Peaking Functions, the focus can be precisely adjusted to your exact specifications and Picture Profile options and S-Log2 offer creative freedom to deliver the end result that you envisioned in your mind. Time Code / User Bit features provide an essential tool for multi-camera shoots in particular, making the editing process a much easier experience, and Preset Focus options add a true element of control to a shoot. RX0 will start to ship in Europe in October 2017, priced at approximately €850. Full technical specifications can be viewed here. 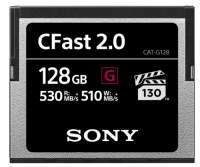 Pricing and availability of the new accessories can be viewed on your local Sony website. 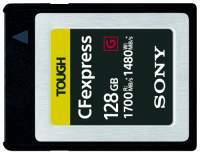 Sony today announced the development of the CFexpress Type B memory card (CEB-G128), a new ultra-fast next generation memory card (2) that is ideal for professional and industrial use. With its super-fast speedof up to 1700MB/s (read) along with highly reliable toughness, this memory card supports the future evolution of digital devices. Sony has today announced five new models to its High Power Audio range with the MHC-V82D, MHC-V72D, MHC-V42D, MHC-V02 and an exciting new outdoor party speaker: the GTK-PG10. 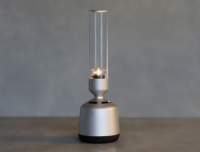 Sony has today announced a new Glass Sound Speaker, the LSPX-S2, a minimalistic and elegant portable home speaker that uses its design to produce stunning sound quality. Sony Corporation President & CEO Kenichiro Yoshida spoke at the Sony press conference held on Monday, January 7 (local time), stating that “Sony is a Creative Entertainment Company. We at Sony partner with content creators who make the music, the movies, the television shows and the games that engage billions of eyes and ears and minds around the world. 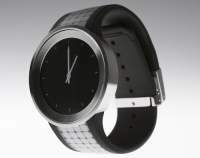 Sony Europe has announced its first fashion watch – the FES Watch U – which utilises e-Paper technology so wearers can change the design of the watch at the touch of a button. The FES Watch U, powered by Sony, is the only watch of its kind in the market and aims to bring together fashion and technology to allow people to express themselves in the most individual way. Sony has announced that with forthcoming firmware updates, users will be able to use Amazon Alexa to control Sony soundbar and several wireless headphones – all with just your voice. Using Alexa is as simple as asking a question. Just ask to play music, hear the news, control smart home devices, access tens of thousands of skills, and more — Alexa will respond. Whether you are at home or on-the-go, Alexa is designed to make your life easier by letting you effortlessly control your world. Sony announced the IER-Z1R in-ear headphones and DMP-Z1 digital music player, a new line of exquisite audio products that expand its Signature Series. These products harness decades of audio expertise, proudly showcasing Sony’s relentless lifetime pursuit of sound excellence. The Signature Series advances sound to an entirely new realm of audio engagement — taking the experience from listening to feeling it. Designed for users who want an unobtrusive camera that can be carried at all times, the new models are packaged in the world’s smallest[iv] body and offer a truly versatile zoom range from 24mmi at the wide end up to 720mmi super-telephoto. Sony announce the MDR-Z7M2, the successor to the highly acclaimed MDR-Z7 headphones. This model inherits the MDR-Z1R’s technology from the Signature Series such as the Fibonacci-patterned grill and a Φ4.4mm balanced connection cable in the box. Sony’s new SRS-XB501G will create the legendary party experience that you and your friends have longed for. If bass is at the heart of your music interests then you will not want to leave this powerful wireless speaker behind. Listen completely wire-free, and now smartphone-free too, with Sony’s new WF-SP900 truly wireless sports headphones - the ultimate way to listen to your music whilst exercising. The truly wireless design means you can move around freely with no constraints, and listen to your favourite tunes with the best in-ear comfort. The WH-1000XM3 headphones are the newest addition to the highly-accredited Sony 1000X family. 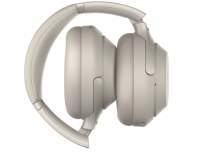 This headband-style around ear model offers all the much-loved features from the previous WH-1000XM2 model, while adding multiple key improvements including upgraded Noise Cancelling performance to enhance your listening and user experience. Adding more variety to its successful in-car audio range, Sony introduces the new XAV-AX3005DB car audio receiver to provide everything you need for an enjoyable and stress-free driving experience, incorporating a big 6.95” Clear Responsive Touchscreen. 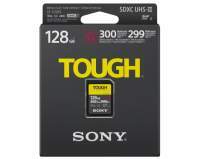 Sony announced a brand new innovation in storage media with the launch of the “SF-G series TOUGH specification”UHS-II SD card. Addressing the needs of photographers who are reliant upon their photographs remaining safe when their SD cards are removed from the camera, the new SF-G series TOUGH specification range combines the world’s fastest read and write speeds with an ultra-rugged design that is bend proof to 180N, and drop proof to 5 metres.